Some time ago, on this blog, I wrote about what you should not do when writing an Upwork proposal and I hope you have taken those lessons to heart. Now, however, I would like to give you a few tips on how to write an Upwork pitch that will almost guarantee you a job on this freelance platform. So, if you are tired of sending dozens and dozens of proposals and not even getting an interview, here’s what you need to do. First of all, let’s establish some ground rules for writing an Upwork pitch. These will be universal for all types of projects and clients. Clients will have to look at dozens of proposals other than yours, so keep your Upwork pitch short. There’s no reason to write an essay. I’d suggest using only 3, maybe 4 paragraphs in your cover letter. That should be enough to spark the interest in the client and convince them to offer you an interview. You can then work out details here. I’ve already talked about this before, but it merits repeating hundred times if necessary. Never write a generic, copy/pasted Upwork pitch. They won’t help you get a gig. Okay, with that out of the way, here is what your Upwork pitch should include in order to bring you a project. Now, you can, and I guess many freelancers do this, send proposals left and right, without matching their skill level to the job requirements, in the hopes that they will “catch” something. The problem with this “strategy” is that it’s not a strategy at all and most clients will simply ignore your bids as you are not a good fit for them. As a freelance content writer, I think that finding your niche or topic you are good at, is extremely important. This doesn’t have to be just one niche, you can have several, but keep that number limited to a few. For example, I never apply for travel, parenting or fashion writing jobs as I don’t know anything about these topics, and wouldn’t be able to provide the best service to the client. Also, keep an eye on your experience and what the client is asking for. If they want an expert and you are just getting your groove, skip that job as you are not likely to be hired. The whole purpose of writing an Upwork pitch is to convince the other side (the client) that you are the freelancer they MUST hire. This isn’t just about listing your skills and accomplishments, but explaining how those skills will help the client. For instance, if you worked on a similar job before, recount that experience for the client and explain them how you can do the same for them. Of course, for your to do this correctly, you will need to read the entire job description. I know some of them can be very long, but I always find those clients better than those that simply write “I need a writer”. This way, I know what the project is about and how I can best adjust my proposal to it. Don’t skip answering those additional questions. The client has put them there for a reason and expects an answer. In fact. not answering those questions can really hurt your chances as the clients will actually see them BEFORE your cover letter. Even if you see the cover letter first on your end. Take a minute or two to answer those additional questions and provide some more information the client has asked for. Even if some of those are of the generic “what would you do to make this project better?” type. Maybe you think they are not important, but the client sure does. Look, if you claim to be good at something, you’d best be able to back that up with some hard evidence. In this case, that means sending a couple of samples of your previous work. I always include 2 or 3 links to my articles I wrote for previous clients and sometimes attach another document. Naturally, you should send your best work, but also try to include samples that are relevant to the job you are applying for. In other words, if it’s a product description job, send some descriptions of products you created earlier. Even better than sending individual pieces of work, divert the client to your portfolio. This can either be your Upwork portfolio, or if you have one, your personal website portfolio. What if the client has not asked for any samples? You should still send them. These can only help your Upwork pitch, never hurt it. So, why not take that opportunity and build your chances of getting a job some more? The sooner you can get your foot in the door, so to speak, the more chance you will have to receive the job. As a rule of thumb, I focus on writing proposals for jobs that are at 2-3 hours old at least. If you see a job that was just posted, or has been posted that hour, put everything you’ve been doing up until that point down and start writing a cover letter for it. The older the job offer, the more people will have applied for it and that means more competition. Good communication is often the key to the freelancer-client relationship and to the success of the project itself. And an Upwork pitch is the perfect place to show that you can be communicated with easily. Just like you would aim to make a good first impression in a regular face-to-face interview, you should try and do the same here. Your language should be professional, but not impersonal. So start with a “Hi” or, even better, if the client has included their name in the description, “Hi Bob”. If they didn’t include a name, just stick with “Hi”, but never address the client as “sir or madam”. That simple “Hi” is a great opener and I always use it in my Upwork pitch. Another thing to remember is your manners. Don’t leave them at the door. Introduce yourself, name and all, say a few kind words about the job and tell them how interested you would be in working together. Try to sound enthusiastic and genuinely interested about the job, but not needy. Finally, end with a thank-you-note to the client for taking the time to read your Upwork pitch and include a call to action. Do you have any tips for writing an Upwork pitch that you would like to share? Or do you have some questions about this post? Let me know in the comments below. Hi Vladimir. I really enjoy reading your helpful and timely tips and suggestions. A couple of things that I put in my Cover Letter, both on Upwork and when I contact potential clients outside Upwork, I put in one line that tells the client how many years experience I have in grant writing or creative writing, what ever the case maybe. The other thing I say in my cover is “I look forward to discussing your project and how I can be of assistance to you. This seems to work for me and maybe if help tomy fellow freelancers. Thanks for the comment. Yeah, that works as well. I have thought about doing some freelancing writing work. This does give me a lot of food for thought about that prospect. Thanks for the great advice. No problem David, you’re welcome. It’s very interesting. I bookmarked it! Thanks Antoaneta. I appreciate that. Thanks, glad you like it, Veera. 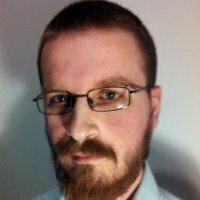 I’ve ben on Upwork for months now, and I’ve yet to get my first job. Writing pitches has been a major problem, as the risk of being too generic or too “flat” is very strong. I want the job, what else should I say the potential client? But now I’ve a plan and a guideline: thank you! You’re welcome Davide. Hope you start getting those gigs soon! You covered every aspect of what an application should contain and some ground rules that needs to be considered. I’ll try everything in my next applications and i’ll let you know if worked or not. Good luck Кире. I hope it works well for you. Hey Vladimir! Nice job, one thing that has helped me out, is to show interest in the job you apply, try asking questions about it. List 2 – 3 questions that you want to ask about the specific job 🙂 Happy bidding! Absolutely, Veena, showing an interest in the job is important. Personally, I save the questions for the interview itself, but there’s no harm in asking them at this stage as well.